We are delighted to announce that we have been shortlisted for 5 awards categories at the prestigious Aesthetic Awards 2018. As we continue to grow, develop and push for higher standards of care in the aesthetic medical speciality, it is an honour to be recognised for our achievements. 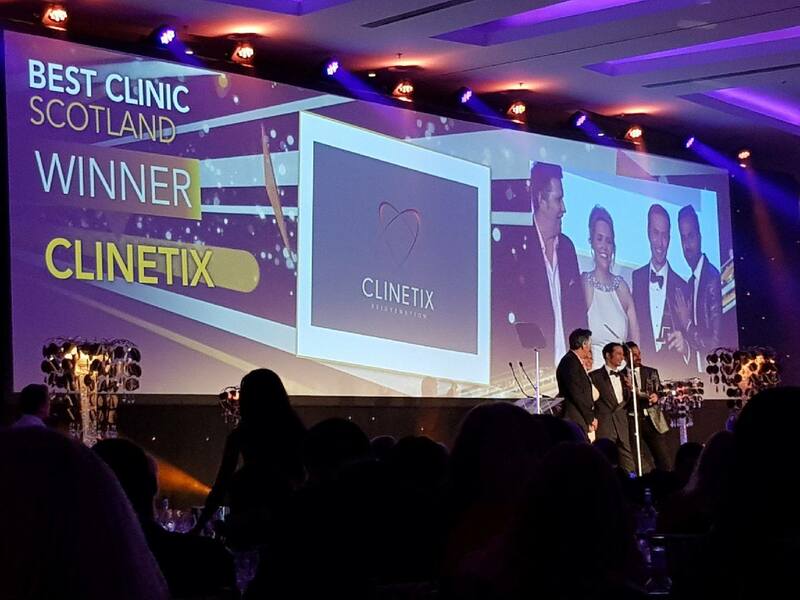 After taking home Best Clinic Scotland at the Aesthetic Awards last year it is an honour to be nominated again. The Best Clinic Scotland award judges clinics on their commitment to excellence in customer service, patient care and safety and evidence of good feedback from patients. There is no voting process for this award as it will be chosen by an expert panel of judges. Mr Simon Ravichandran MBChB.MRCS has been shortlisted for Medical Aesthetic Practitioner of the Year. This is one of the most renowned and reputable awards an Aesthetic Practitioner can receive and it is a great achievement to be a finalist. This award will recognise the aesthetic practitioner who is deemed to have contributed the most to their profession and provided the most outstanding care to their patients in the last 12 months. “My goal is not to make people beautiful; it’s to make people happy” – Simon Ravichandran. Over the past 12 months, Simon has developed Masters degree content, course design and guest lectured for Northumbria University. He has also been on the Merz Innovation Board, delivering real-time 3D imaging advanced anatomy teaching programmes at FACE 2018. Over the past year, Simon has been a Key Opinion Leader throughout the UK and Europe and has collaborated with other industry leaders as part of the Aesthetic Innovation Group. 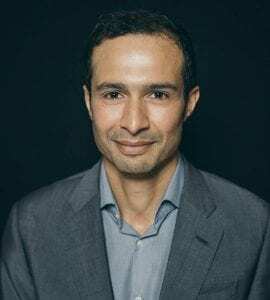 He has also helped create an advanced modular training platform for the Aesthetic Training Academy to support delegates journey in aesthetic medicine. There is no voting process for this award as it will be chosen by an expert panel of judges. RN Sarah Gillies has been shortlisted for Aesthetic Nurse Practitioner of the Year. It is truly a significant accomplishment to be a finalist for Aesthetic Nurse Practitioner of the Year at the Aesthetic Awards. This award will recognise the aesthetic nurse who is deemed to have contributed most to the profession and has provided the most outstanding care to their patients in the last 12 months. Over the past 12 months, Sarah has built a busy diary in Clinetix Bothwell and grown her patient list through an excellent word of mouth reputation. Sarah has assisted in developing protocols within the clinic to improve the running of Clinetix and increase patient safety. 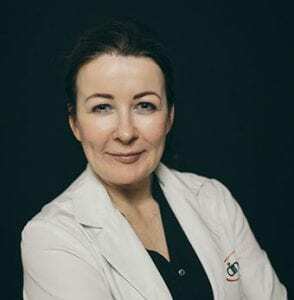 In 2018, Sarah began professionally assisting tutors at the Aesthetic Training Academy, demonstrating treatments and supervising delegates practice on ‘Getting Started in Aesthetic Medicine’ courses. One of Sarah’s professional highlights of the last year was lecturing alongside Dr Emma Ravichandran BDS.MFDS on perioral rejuvenation at the BACN conference. 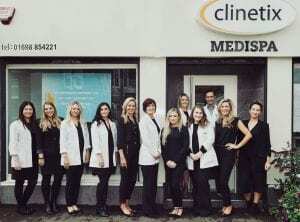 Clinetix has been shortlisted for Clinic Reception Team of the Year. This award will recognise the Clinic’s Reception Team for ongoing, outstanding customer service. Clinics must be able to show evidence of continuous training programmes, strong practitioner support and effective teamwork for the benefit of the clinic and its patients. 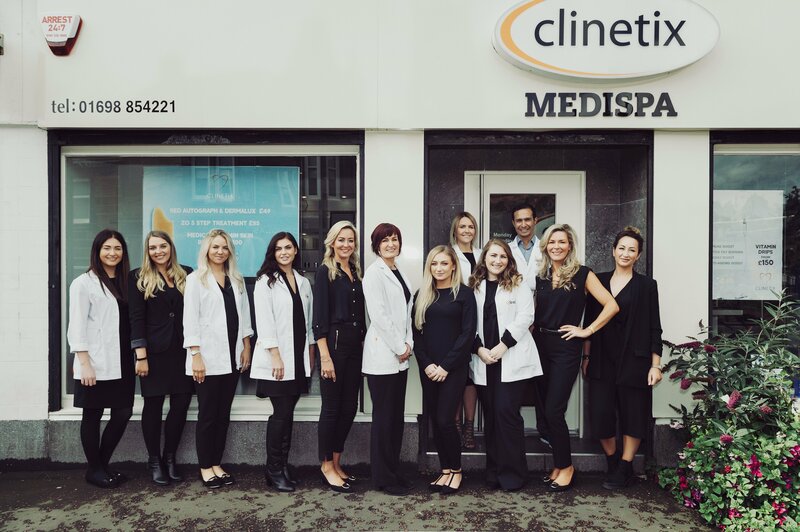 At Clinetix our customer service ethos is to provide a welcoming, adaptable, patient-centric, professionally caring service, based upon equality of treatment. Resulting in a flawless patient journey that inspires confidence and exceeds patients’ needs, requirements and expectations. Our sister company the Aesthetic Training Academy has been shortlisted for Best Independent Training Provider. This award will be presented to the independent training provider whose training programme is considered to have advanced the education of medical aesthetic professionals most effectively in the last 12 months. As founders of the Aesthetic Training Academy, Drs Simon & Emma Ravichandran are devoted to sharing their knowledge and experience with delegates. 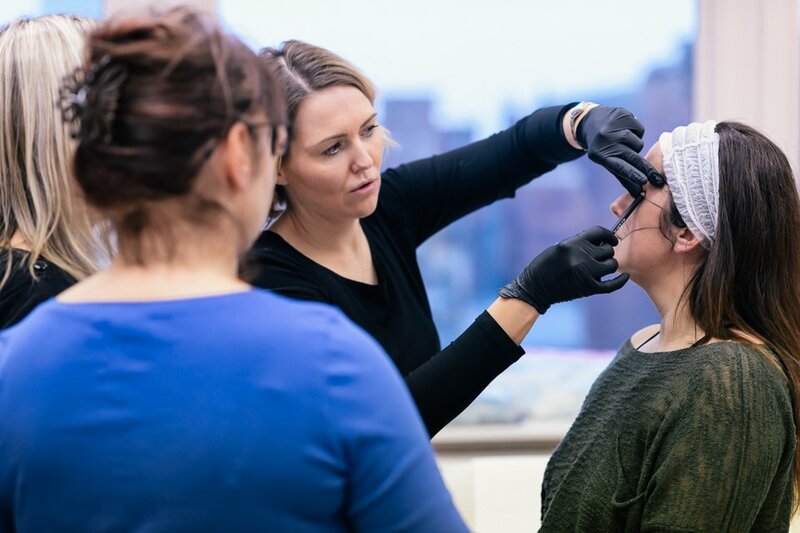 They have developed an advanced programme to help aesthetic professionals continually advance skills throughout their aesthetic career. The winner of Best Independent Training Provider will be selected using a combination of Aesthetics reader votes and judges scores. To vote for the Aesthetic Training Academy click here.